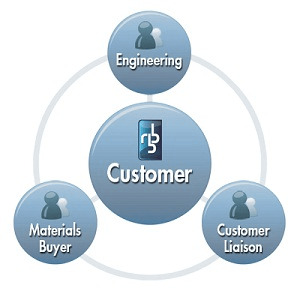 I have been performing repairs on much of the customer product service returns at RBB for several years. We have always taken pride in our work here and strive for customer satisfaction in all areas of our business. We have seen a sizable reduction in product returns over the last few years that everyone has been extremely pleased with. However, once in a while an order just doesn’t measure up to a customer expectation. There can be many reasons that issues arise such as a misunderstanding of documentation, wrong or defective components supplied or an error not caught during manufacturing. I work directly with engineering, quality assurance and production to resolve build issues and to prevent future issues from occurring. The question to ask yourself is: "What if the product you have received doesn’t appear correct or won’t perform as expected?" Call your customer liaison and inform them of the problem as soon as it is discovered. Also, there may be more products being built and we want to correct any problem to prevent a second occurrence. Explain to your customer liaison the nature of your problem, what you would like them to do to resolve the issue and any other pertinent information. We track when products were manufactured by serial numbers or batch numbers. If possible let us know these numbers as we can track who handled the product throughout the assembly and test process. If an item or a batch of items needs to be returned to the factory, we will issue you a Return Merchandise Authorization (RMA) number. We can use this number to track the progress of your service order. Please include this number on your shipping container and paperwork. Often a problem can be easily corrected on new circuit boards unless they have been handled poorly so treat all boards as if they will be returned in like new functional condition. Carefully pack the items in anti-static materials (bags) for return and use packing materials that will prevent damage during shipping. When we receive your returned product we will evaluate the condition and you will be contacted regarding the repair. Once the solution is agreed upon we will work quickly to resolve the issue and return the product (if applicable). Most customer returns are completed in less than three weeks with many returns completed much sooner. The time required depends on what needs to be done to complete the repair and if parts need to be ordered that we don’t have in house. Once repairs are completed we will carefully package and return the item(s) to you. We include a Service Work Order form that details what work was performed with every order. Please feel free to call RBB at any time regarding the progress of your repair and know that even when things don’t go as planned, every issue leads to our efforts in continuous improvement.